The Empire State Building And The Art Of Trump's Deal In the 1990s, Donald Trump famously tried to acquire control of the Empire State Building. He lost — but ultimately won a nice profit, especially considering he put no money into the building. One of Donald Trump's most famous deals involved an effort to acquire control of the Empire State Building in the 1990s. Donald Trump says he can "make America great again" through his prodigious skills as a dealmaker, using them to reshape trade pacts, prevent Iran from developing nuclear weapons and stop illegal immigration. His infamous effort to acquire control of the Empire State Building from some of New York's most powerful real estate titans in the 1990s shows how aggressive he can be, the kind of people he's willing to do business with and how he can still make money even when he loses. "It was kind of like one member of New York real estate royalty taking on another member. It was something I had never seen happen before and haven't seen happen since," says Michael Cohen, tri-state president of Colliers International, a commercial real estate firm. In the early 1990s, Trump was in one of his periodic rough patches as a businessman, having defaulted on $1 billion worth of debt during one of New York's real estate downturns. Then one day his second wife, Marla Maples, happened to meet Kiiko Nakahara at a gym. Nakahara suggested she and Trump meet to talk about the Empire State Building, says Raymond Hannigan of the law firm Herrick Feinstein. Nakahara was the daughter of one of Japan's richest and most notorious men, Hideki Yokoi, who was widely thought to have ties to organized crime and was then doing time in prison. 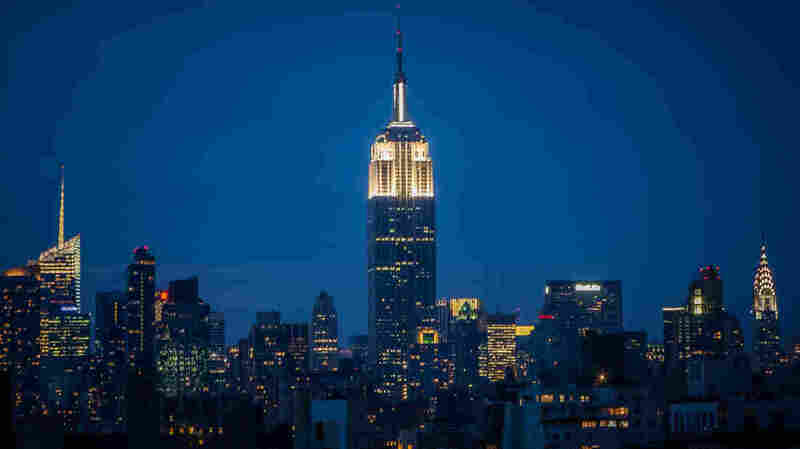 Over the years, Yokoi had been rapidly buying up showcase properties in Europe and the U.S., among them the landmark art deco Empire State Building, says Hannigan, who was involved in the litigation over the building. Yokoi's interests in the building were controlled by Nakahara. How Will Trump The Brand Survive Trump The Candidate? But Yokoi made surprisingly little money out of the building. Previous owners had signed a very long-term lease with a firm controlled by two of New York's most powerful real estate barons, Harry Helmsley and Lawrence Wien. Meeting with Nakahara, who knew little about Manhattan real estate, Trump proposed a time-honored New York strategy: the two of them would go to court to try to break the lease. According to Peter Slatin, a hotel consultant and former journalist who covered New York real estate for publications such as Barron's and The Wall Street Journal, Trump essentially told Nakahara, "What if we got rid of [the owners] and we take over the building? And you don't have to do anything. I'm going to do all the work. I'm going to do all the heavy lifting." Nakahara, who'd later do prison time herself, decided that Trump, with his considerable experience in the city's real estate industry, might be able to pull off what he proposed. For Trump, the arrangement was a win-win, giving him an interest in the building without putting in any of his own money but allowing him to reap half of any extra value he could add to the property. If he succeeded in breaking the lease, he'd make a fortune. "A great deal of money was at stake. I mean, being able to terminate the lease for this marvelous iconic building was worth not millions, billions," says former New York State Supreme Court Judge Edward Lehner, who presided over the case. To break the lease, Trump argued that the 102-story building had been mismanaged by Helmsley and Peter Malkin, Wien's son-in-law. It was infested with rodents, Trump said, and the elevators didn't work properly. There was some truth to that, Slatin says: Despite its fame, the Empire State Building was not then seen as one of New York's premier buildings, and its tenants tended to be small companies that couldn't afford A-list buildings. But there was a widespread sense that the building's problems weren't as serious as Trump claimed, and his effort to break the lease shocked a lot of people. Cohen notes that many small investors owned shares in the Helmsley-Malkin operation that controlled the lease, and Trump's gain would have been their loss. "If he had won, the investors who'd been partners with Helmsley and the Helmsley heirs who were then managing the building would have been wiped out," Cohen says. As it happened Judge Lehner dismissed Trump's suit, and his ruling was held up on appeal. In the years that followed, Trump waged a war of attrition against Malkin and Helmsley, using his fame as a platform to publicly criticize their management of the building. Then, in 2002, Trump suddenly shifted gears and did the kind of deal he was famous for, by calling Malkin and offering to sell him his interest in the building. Why would Malkin and his partners want to buy Trump out, especially since his effort to break the lease had been notably unsuccessful? "They know that two things can happen," Trump told Mitchell Pacelle, author of Empire: A Tale of Obsession, Betrayal, and the Battle for an American Icon. "As long as we own the land, the building cannot be condominium-ized, which is a huge negative, because that's what's happening today. I don't only mean for apartment, hotel and commercial." Trump's interest in the building also made it difficult for Malkin and his partners to borrow against the building's lease, Trump reasoned. The partners may also have simply been worn out by Trump over the years and eager to get him off their backs. A spokesman for Anthony Malkin, president and chairman of the Empire State Realty Trust, declined to comment. Whatever the reasons, Malkin agreed to buy the building outright, for about $57 million, giving the partners total control over the property. In 2010, they spent $550 million to upgrade the building. As for Trump, he walked away with half of the profit from the building's sale, or about $8 million, according to a source. That was a lot less than he might have made, but a nice little profit nonetheless, considering that he had put no money into the building. For a while, Trump also got to be associated with one of the most famous buildings in the world, and for someone who loves publicity as much as he does, that was no doubt a nice added benefit.